The caves were fascinating. It was surreal to think that communities actually lived in them back in the day. Although I guess it was a perfect place to be as it keeps cool in the summer and warm in the winter, plus it would be easy to guard if they were ever under attack. The history behind the caves are fascinating, it is worth a visit if you're ever looking for something to do. Cave 20 was recently opened, so we were some of the first people to ever go in it. That was pretty exciting! The caves also hold cheese and wine which is sold all around the world. The cheese was quite strong for me but a lot of people enjoyed it. 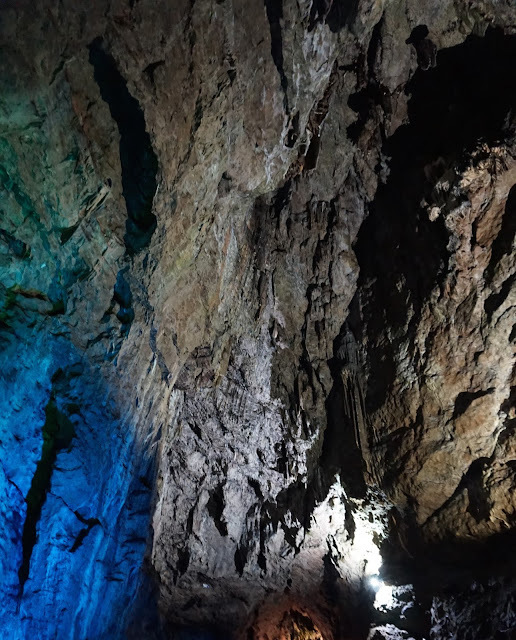 Wooky Hole has a lot more to offer than just the caves. There's a Pirate Mini Golf section, a Paper Mill, Penny Arcades, a 4D Cinema and much more. It was great to have a go in the Penny Arcade as my Grandad has one which goes on the wall. It brought back a lot of nostalgia from my childhood. Have you ever been? Or do you think you will take a visit?